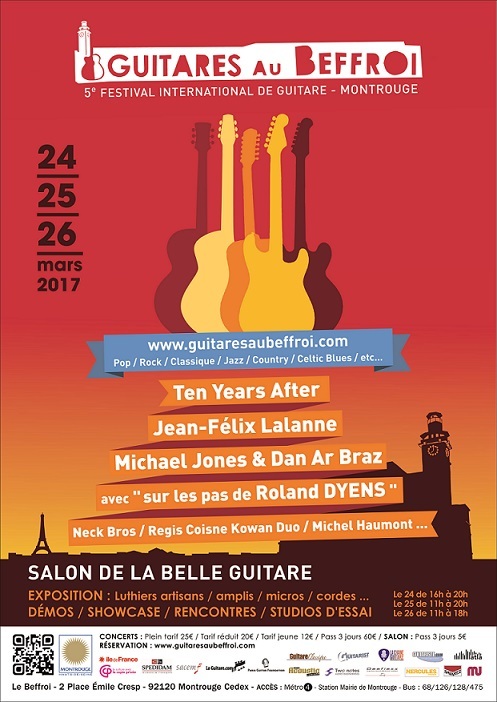 The 2017 Guitares au Beffroi (www.guitaresaubeffroi.com) festival and its guitar show the Salon de la Belle Guitare will have its 5th edition from Friday March 24th until Sunday March 26th in Montrouge, right next to Paris. There will be luthiers coming from more than 10 countries, check-out the full list on the festival website. Here's a video recorded with Armel who is in charge of organizing the guitar show in the festival. I asked him all the questions so you can get all the info needed about this awesome guitar event. A great novelty compared to previous years: the entrance of the salon of luthiers will be paying. The price of 5 € for 3 days of access is low enough not to discourage anyone and will ensure a more qualified audience for the luthiers. I think it's a great idea that should improve the visitors experience. Another notable point: the number of room to try the guitars was increased to 8! There will be two rooms at the salon level for acoustic testing and six other rooms upstair equipped with amps for electric guitars and rooms also dedicated to acoustics. In addition to that some headphones listening stations will be available in the salon. 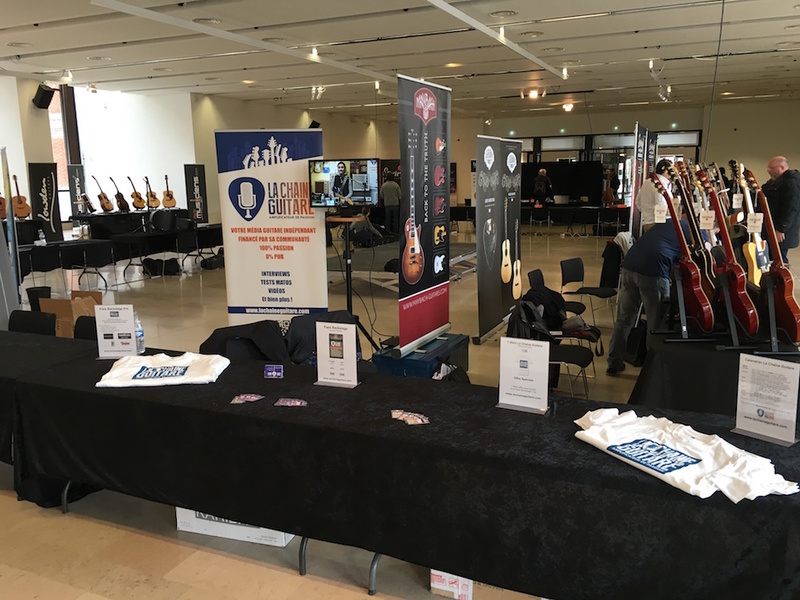 As for the previous four editions, The Guitar Channel will be present onsite to cover the event by doing interviews and shoot videos. Come and say Hi! Many interviews will take place in the booth, so it's a great opportunity to hear the luthiers talk about their work and the musicians about their music. 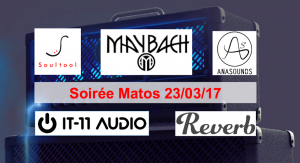 Right before the festival, The Guitar Channel organizes a Gear Evening on Thursday March 23rd from 7pm to 10pm at the Music Live studio with exhibitors who will also be present during the show: Maybach, Soultool, IT-11 Audio and Reverb.com. It is a great opportunity to meet these artisans or manufacturers and to test their material in a real rehearsal studio. The pedal manufacturer Anasounds will also be present for this evening. For a complete report on last year edition, you can read this article with photos and videos. See you in Montrouge on the last week-end of March!